MALAISIE – Keningau - A Palaeolithic site believed to be 200,000 years old has been discovered in Keningau. Archaeologists claimed that the site in Kampung Lipasu in the sub-district of Bingkor could rival the Mansuli site in Lahad Datu, which is 235,000 years old. Universiti Sains Malaysia archaeology research team head Prof Dr Mokhtar Saidin said researchers, however, had not revealed the exact age of the site said to be a location for making Palaeolithics stone tools. 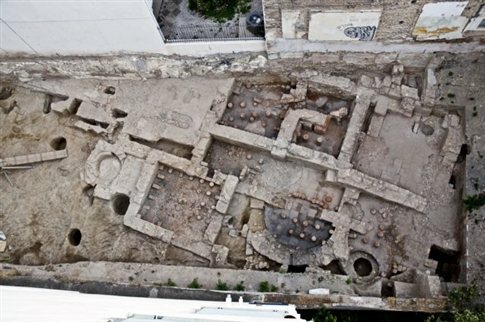 Excavation began on May 9 and is expected to finish on May 29. The team, comprising researchers from the USM Global Archeological Research Centre and the Sabah Museum Department, has discovered several artefacts, including an anvil, core stone, hammer stone, chopper and flake tools. "We believe the Bingkor site could be older than the Mansuli site as there could be more layers beneath the present excavation site," said Mokhtar. He said this could be an interesting find because the archaeology community initially believed that human population began on the east coast of north Borneo. 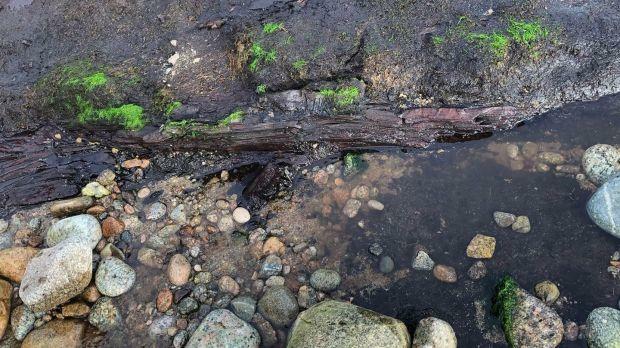 "The notion was the human population here lived in the coastal area but with the new finding, we can see that early human population began from inland." Sabah Museum director Joanna Kitingan said the latest discovery would put Keningau on the international map as far as Palaeolithics findings were concerned. 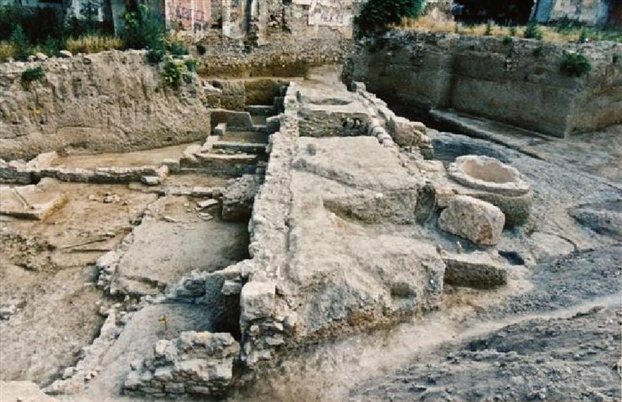 Athenes - Découverte de thermes romains (en fonction du IIe au VIIe ap) au sud de l'Acropole. INDE – Kutch coast - Scientists of the National Institute of Oceanography (NIO) have found an Indo-Arabic stone anchor off the Kutch coast in Gujarat that offers significant clues to the Indo-Arabic trade of the first and second century B.C. It was found at a depth of more than 50 metres. The find has been published in the May issue of scientific journal Current Science.“Ancient stone anchors serve to understand maritime contacts of India with other parts of the world... Arabs sailed the Indian Ocean and used the type of anchors under study since the 9thcentury. Indo-Arabian type stone anchors have been reported from the western Indian Ocean countries, namely east Africa, India, Arabian Gulf countries and Sri lanka, suggesting close maritime contacts and trade relations among these countries. “The ports in the Gulf of Kachchh have contributed significantly to maritime trade since ancient times, and such trade was extensive between Gujarat and the Arab world even during the medieval period,” the study reported. The antique broke into two pieces while being retrieved. “While the anchor was being retrieved, it fell from the dredger and broke into two pieces along a fracture plane that developed 70cm below the upper circular hole,” the study reported. An earlier study showed that stone anchors recovery from Indian waters are made of rocks found along the Indian coast. “As there are no associated finds along with the stone anchor in the present study, it is difficult to determine the exact age. However, on the basis of comparative analysis, similar type of Indo-Arabian-type of stone anchors have been dated between 9th and 17th century AD in the Indian waters,” Tripathi said. The anchor stone is composed of quartz and feldspar grains floating in a ferruginous matrix. “No anchors have been reported so far from the northern coast of the Gulf of Kachchh. Further, the stone anchors reported from Gujarat or elsewhere in India are primarily from ports and harbour sites, sheltered bays and shipwreck sites. The anchor reported in this study has been found in none of the above described contexts. Very little is known about the finding of stone anchors in waters deeper than 20 m along the Indian Coast. IRAK – – Nippur - They were stored in the basement of the Customs House at 6 World Trade Center in New York City when the building was destroyed by the terrorist attacks on September 11, 2001. The ancient, 4,000-year-old cuneiform tablets, 302 in all, were looted from a site in southern Iraq sometime before the attacks. They had been confiscated by U.S. customs while they were in the process of being smuggled into Newark, N.J. and then placed temporarily in the basement of the Trade Center. When officials recovered the cache from the basement beneath the 9/11 wreckage, they transferred them to another storage facility until 2004, when they were taken to Harvard University's Semitic Museum basement to undergo a special restoration process developed by Dennis and Jane Drake Piechota. The process combines slow baking in a furnace with water baths to extract salts. It results in a ceramic hardness that extends the life and form of the tablets. 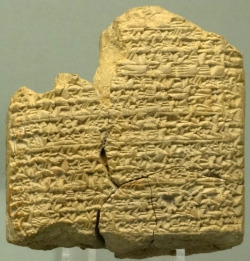 Scholars now know that the tablets resided in an archive near the city of Nippur, the religious capital of Sumeria, and 145 of them constitute records of a relatively high-ranking agricultural official named 'Aradmu', a fact that came to light when Benjamin Studevent-Hickman, a lecturer on Assyriology in Harvard’s Department of Near Eastern Languages and Civilizations, dedicated months translating the cuneiform characters on the tablets. What he discovered was a detailed account of routine operations of an agrarian society, including receipts for agricultural items such as donkeys and oxen and grain loans. At least some of the loans had an interest rate of a whopping 33 percent, apparently a typical standard rate for the time in Mesopotamia.